 Luxury is in the details, and at Brownridge Terrace, we have meticulously crafted each of our stunning apartments to include all the in-home and community features, and amenities our residents need to properly experience the comforts of home. Inside your apartment you will find high quality features like wood plank flooring, stainless steel appliances, a gas fireplace, designer paint schemes, and more. Beyond your home you will find several community features and amenities that you will love, like our community clubhouse, saltwater swimming pool, outdoor grill and picnic area, and more. There is plenty to enjoy when you choose to live at Brownridge Terrace. Once you’ve had the chance to browse through our floor plans, photo gallery, and amenities listed below, give us a call to schedule a tour and see it all in person! One underground parking space is included with each apartment. Parking is also available in the spaces in front of the buildings. Resident clubhouse with kitchen, beverage service, TV, and fireplace, a private outdoor courtyard with shallow saltwater pool, fireplace and grill, a fitness center, and regular community events (pool party, yappy hour, wine and cheese tastings, holiday parties, paint night, and more). Plus corporate rentals are available, 24/7 emergency maintenance is included, and there's an on-site leasing office.